Before you book online with OMZ, please realize this is a third-party booking platform that charges 6% on top of our rate. Also, there is a cash discount of almost $7 available which just saves us credit card fees. You have the option to pay how you prefer at check-in. 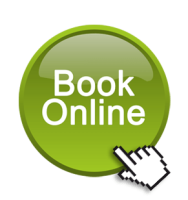 Please note we limit our online booking availability to accommodate in-house reservations. If you see the online tour is booked or closed out, please call directly. We will help you get a time and reservation.